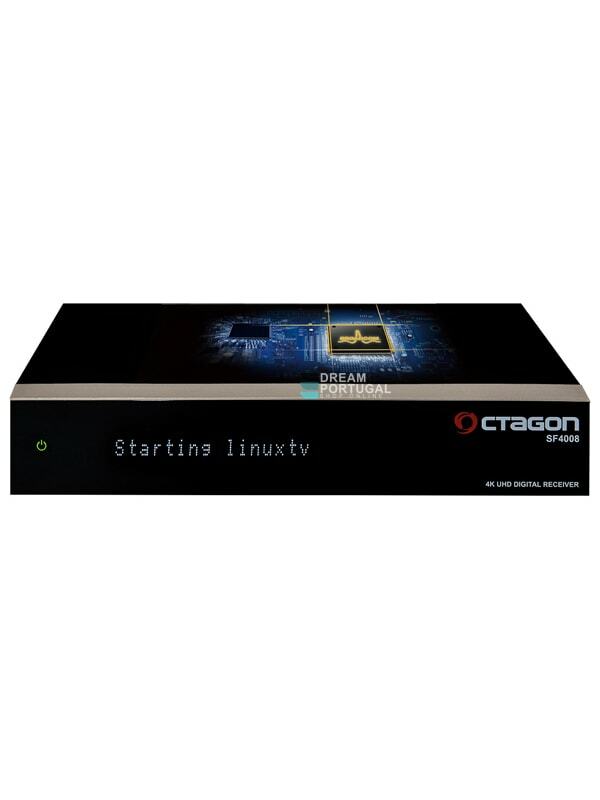 Octagon SF4008 4K UHD - Buy at dreamportugal.pt! The long wait has now come to an end! Octagon proudly presents the new 4K UHD receiver SF4008. A receiver with 2x tuner plug`n`play with support for the new standard DVB-S2x, with an USB 3.0 port, Gigabit LAN interface, HEVC265 video decoding will open new prospects for the full spectrum of new 4K experience to enjoy. Device or processor can control a maximum of 3 tuners at the same time! Tuner Slot 1: Dual DVB-C / T2, Tuner Slot 2 empty, -> 2xDVB-C / T2 usable + C-T2 Soft 3xTuner usable mi5V control!